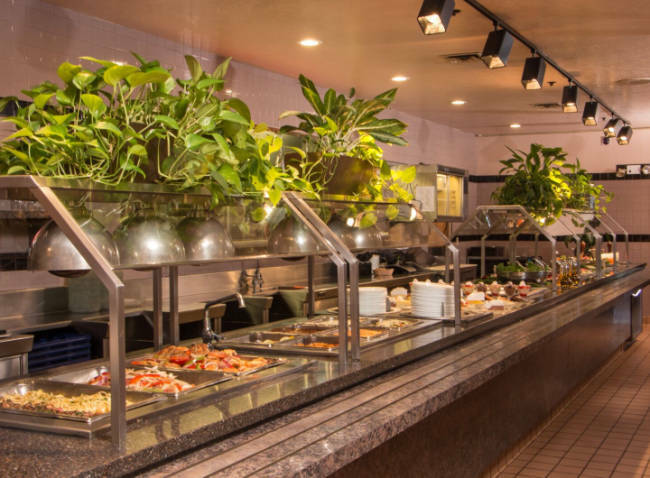 The Grand Canyon Plaza Hotel is a full-service hotel located in Tusayan, just a mile outside of the Grand Canyon park entrance and seven miles to the South Rim of the canyon. 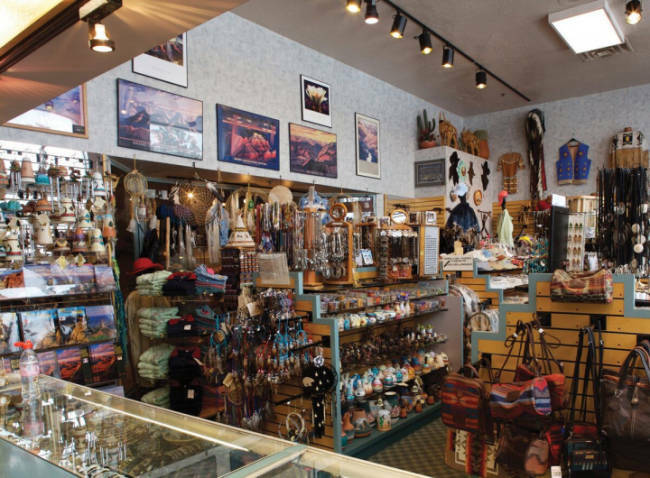 This award-winning hotel is a great option for lodging as its easy access to the park but also has added amenities that the lodges in the park don't have like a swimming pool, hot tub, and laundry facilities. 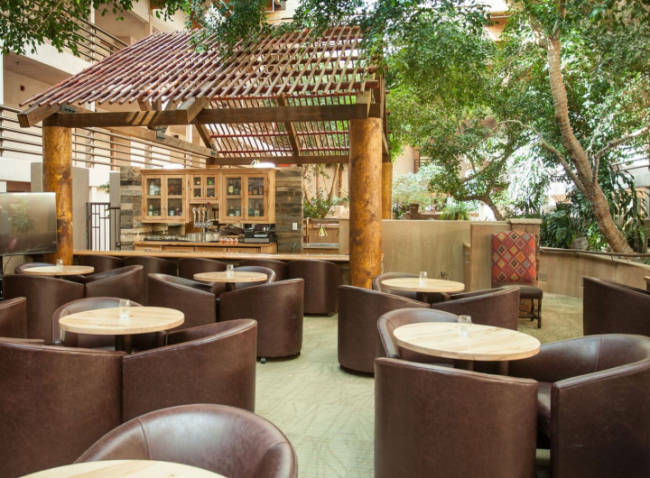 The three-story hotel has 232 guestrooms, all outfitted in the traditional, yet stylish, southwestern decor with desert beiges. 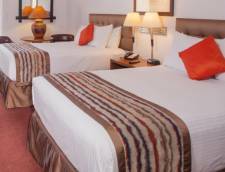 While there is a combination of deluxe rooms and spacious suites, all of the rooms have luxurious bed linens, air conditioning, complimentary toiletries, internet and television with premium channels. 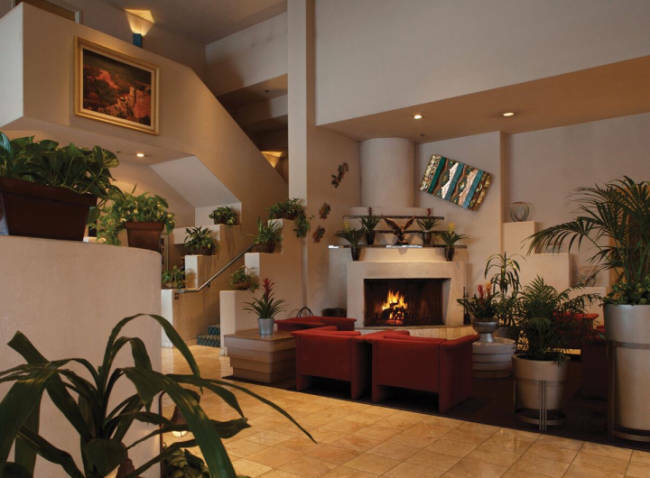 Guestrooms have either an outdoor corridor with a balcony overlooking the atrium or an indoor corridor with a patio. 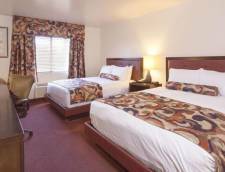 The hotel also has pet-friendly rooms and ADA rooms available upon request at the time of booking. 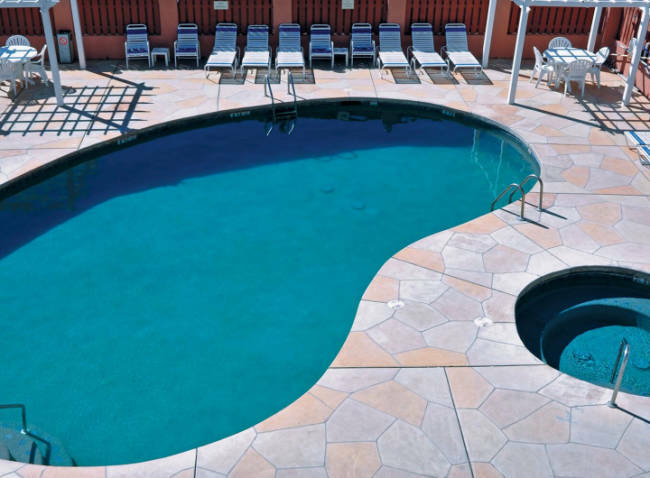 The hotel has a seasonal outdoor pool and spa for summer entertainment and a year-round 18-foot indoor spa tub. 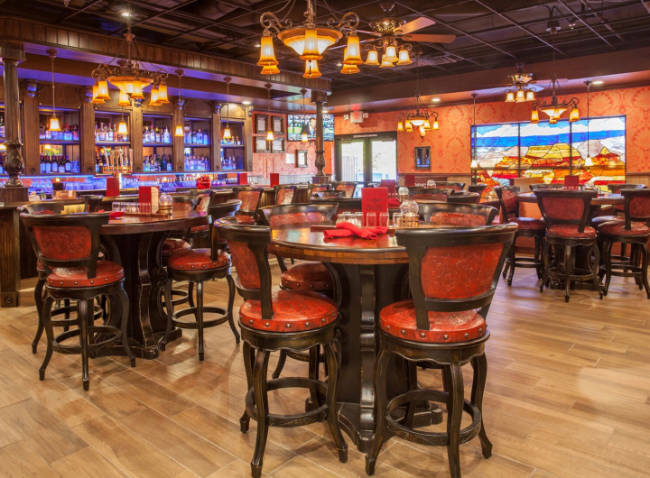 Guests are within walking distance to the IMAX Theater or can use the hotel's concierge services to help arrange tours in the park or get you where you want to go. 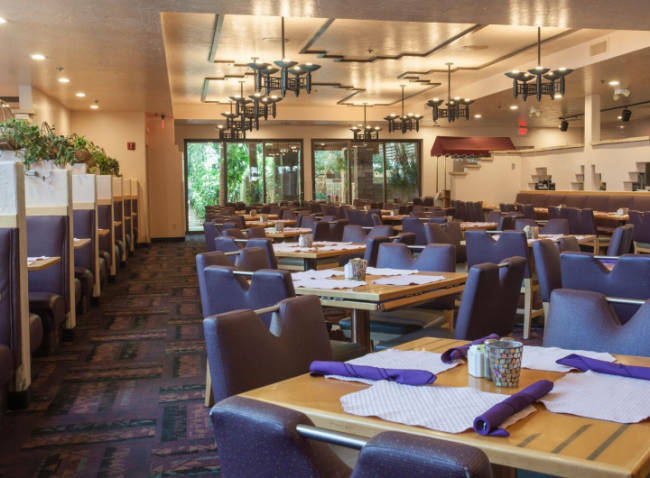 There is an American restaurant on-site that serves breakfast, lunch, and dinner in both buffet style and a la carte options The hotel also offers a fitness center, lounge, laundry facilities, computer station and meeting space. 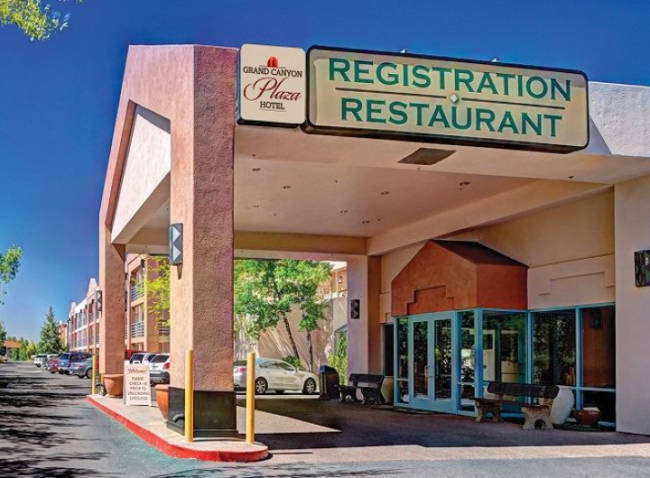 The Grand Canyon Plaza Hotel also goes above and beyond to take care of its guests from arrival to departure, offering complimentary transportation to and from the Grand Canyon National Park Airport. The Deluxe Double room are perfectly suited for small families. The room features two x-long double beds and can accommodate up five people with a rollaway. Rooms will have either an outdoor corridor with a balcony overlooking the atrium or an indoor corridor with a patio. 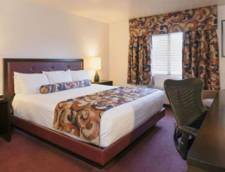 The Deluxe King guestroom comes with a king bed and can sleep three with a rollaway. 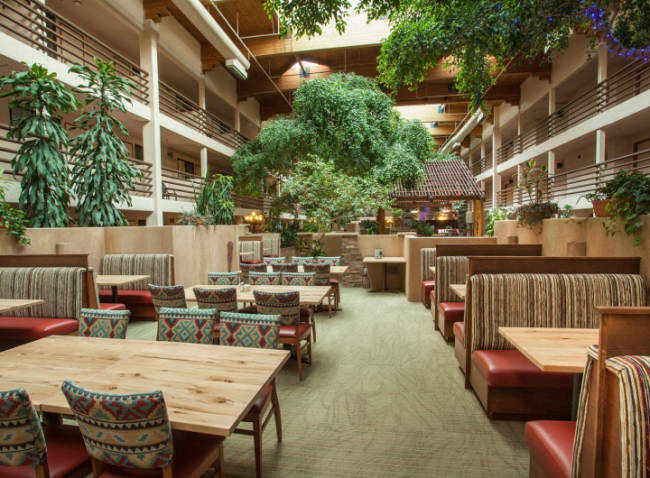 In addition to the extensive list of amenities, these rooms have either an outdoor corridor with a balcony overlooking the atrium or an indoor corridor with a patio. These rooms are a great option for couples. The Mini Suite Double has two x-long double beds and a single sofa sleeper. These suites come with the standard list of amenities as well as a microwave and mini refrigerator. Each suite has an indoor corridor with an outside patio. The Mini Suite Queen comes with a queen and a sofa sleeper, sleeping up to four guests. In addition to the standard amenities, theses suites come with a microwave, mini refrigerator and an indoor corridor with an outside patio. The Suite Queen is a one bedroom suite that can sleep up to five people with a rollaway. The bedroom has two queens and there is a sitting area with a television, microwave and mini refrigerator. 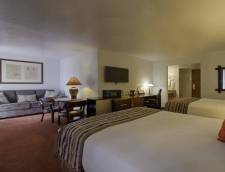 The suite is equipped with all the standard amenities and there is the extra bonus of a second television in the bedroom. The Suite King is a spacious suite that can sleep up to five guests with a rollaway. The sitting area has a queen sofa sleeper with a television, microwave and mini refrigerator. In addition, the suite has the standard hotel amenities and the bedroom features a king bed and a television. The Mini Suite King accommodates up to four guests with a king and a sofa sleeper. The mini suite comes with an extensive list of amenities and also has a mini refrigerator and a microwave. These rooms have an indoor corridor with an outside patio. Room and Tax for the first night of your stay will be charged to the credit card on file within 24 hour of receipt of the reservation. Reservations must be cancelled 24 hours prior to the date of arrival to avoid a penalty of one night's room and tax. All reservations must be cancelled through the same method it was made. We encourage you to bring your pet along on your travels. Pets that are 40 lbs. or less are welcomed with a restriction of two pets per room. There is an additional charge of $50.00 non-refundable fee. Pets are not allowed to be left in room alone. Rates Policy: Rates are based on double occupancy. 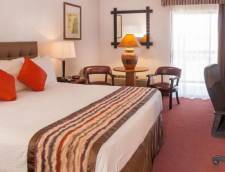 Each additional guest age 16 or over is an additional $10.00 per night.